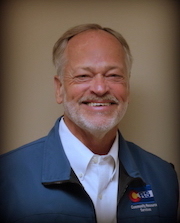 Jim A. Worley has 30 years' experience in the efficient and effective management of Colorado Special Districts with a talent for creating positive community/entity interaction and possessing a wealth of personal relationships in the development and governmental communities. He has extensive experience in water and sewer operations. Jim has managed all phases of districts, including district formation, administrative management, bonding, budgeting, long-range planning, operations and management of district facilities, governmental compliance with state agencies. Jim continues to serve as a liaison with various governmental entities throughout the state. Throughout his career, Jim has managed Water Districts, Sanitation Districts, Park & Recreation Districts and Authorities established through the State. Jim current serves as a Board member and Chairman for the Highlands Ranch Metropolitan District. Former General Manager for the Highlands Ranch Metropolitan Districts during a time when Highlands Ranch was considered the fastest growing community in the US.